The Rabbit of Fortune is an interactive piece that features a rabbit that predicts your fortune. During my exchange semester in Istanbul I often came across fortune telling rabbits on the streets. It is very common all over Turkey for people to let a rabbit tell them their fortune. The Rabbit of Fortune is new interpetation of those street rabbits. 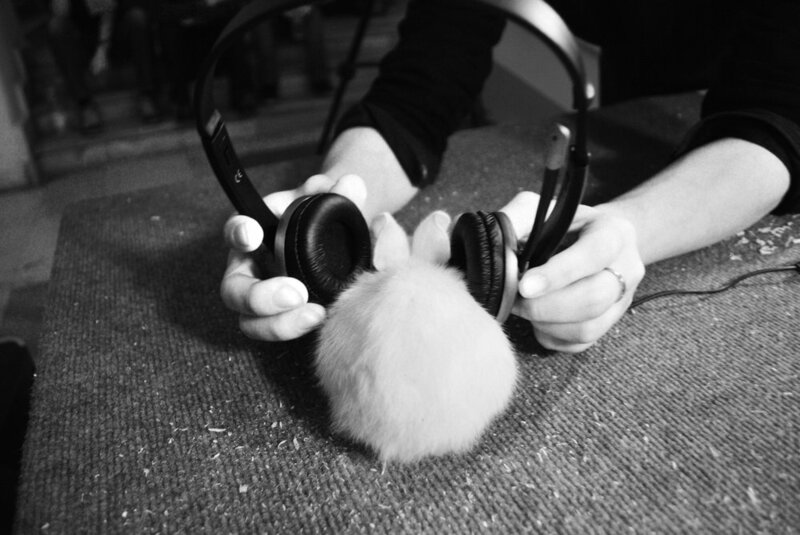 Depending on where the rabbit is, different sounds is generated through the headphones, thereby telling the listener their fortune. Left to right: Recep, Tayyip, Erdogan and Unknown. The Rabbit of Fortune was the outcome of a workshop with Istanbul Technical University, Eindhoven University of Technology and the University College of Art and Design Sint-Lukas. The workshop was focused on interpreting Turkish culture in Eindhoven, Bryssels and Istanbul. The workshop was finalized with an interactive exhibition.